In a meeting with the Exarchs of the Ecumenical Patriarchate in Ukraine - Archbishop Daniel of Pamphylon and the Western Eparchy of the UOC of the United States of America and Bishop Ilarion of Edmonton and the Western Eparchy of the UOC in Canada, President Petro Poroshenko once again thanked for the decision of the Holy Synod to provide autocephaly to the Ukrainian Orthodox Church. The exarchs of the Ecumenical Patriarch in Ukraine noted the leading role of President Petro Poroshenko in the process of uniting Orthodox Christians and the creation of the Autocephalous Orthodox Church. Archbishop Daniel thanked the President for his leadership and willingness to see the unity in the people of Ukraine. "I hope that we will serve together and celebrate this great union of our Ukrainian people soon," the Archbishop stressed. Archbishop Daniel of the UOC of the USA also informed that he and Bishop Ilarion returned to Ukraine “to continue work on the last stage, which will bring us to the unifying Council and then to the presentation of the final document to the new primate - the Tomos of independence, autocephaly of the Ukrainian Orthodox Church". "As before, we will communicate, ready to communicate, we hope to cooperate with all the leaders of the Ukrainian Orthodox Church of Kyiv Patriarchate, the UAOC, the hierarchs, clergy and believers of the Ukrainian Orthodox Church in the fold of the Russian Orthodox Church," Archbishop Daniel especially emphasized. Archbishop Daniel noted that the exarchs came back from Constantinople “with good news, with a historic event in the life of the Ukrainian nation”. "I would like to immediately convey the words of congratulations of His All-Holiness Ecumenical Patriarch Bartholomew. We had a conversation with him immediately after the end of the Holy Synod. And he asked to convey personal congratulations to you, as well as gratitude for all the efforts that you have made as President of Ukraine, taking care of the whole process of uniting Ukrainian Orthodox Christians in the territory of Ukraine," the Archbishop said. "I think I'm not mistaken if I say that it was a historic decision of the Constantinople Mother Church concerning Ukraine, because the intention to provide autocephaly to the Ukrainian Orthodox Church was once again confirmed," he said. Archbishop Daniel reminded that the Synod also considered appeals of the leaders of the Ukrainian Orthodox Church of Kyiv Patriarchate and the Ukrainian Autocephalous Orthodox Church and abolished "various church sanctions" against these spiritual leaders. They were returned to their spiritual rank. 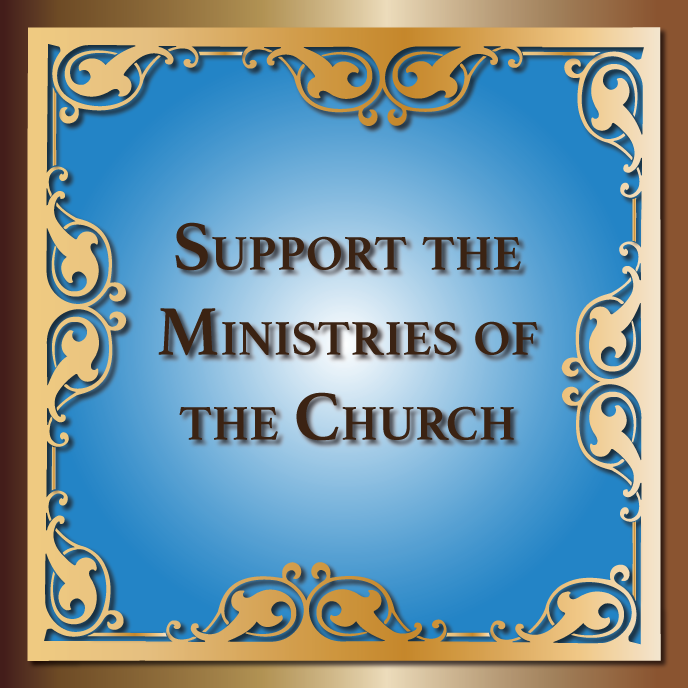 As well as the clergy that cares for the people of Ukraine in these churches. "Therefore, if there are any talks about the inappropriateness or non-canonicity of the sacraments performed by these clerics, the Holy Mother Church gave the answer - these sacraments, the actions of the clergy are canonical. We are grateful to God and the Church of Constantinople, which cares for our Ukrainian people," he said. In turn, Bishop Ilarion of Edmonton and the Western Eparchy of the UOC in Canada emphasized: "October 11, 2018 - this historic day became the day of proclamation, declaration of spiritual sovereignty of the Ukrainian people. Just like July 16, 1990 - Declaration on the State Sovereignty of Ukraine". "Your name is inscribed in the history of Ukraine with gold letters along with the names of the rulers of Kyivan Rus’, Kyivan state, your predecessors - Holy Equal of the Apostles Great Prince Volodymyr, Yaroslav the Wise, who did a lot for the spiritual prosperity of their people," Bishop Ilarion said. He added: "As a good shepherd, the Ecumenical Patriarchate left 99 sheep and led this one sheep to unity with this decision of October 11 - millions of Orthodox Christians, carrying out its Calvary self-sacrificial mission, which it continues to carry out contrary to its own interests and acting as the Mother Church for the sake of the future of its children, giving autocephaly from the Moscow church to the recently granted autocephaly of the Czech Republic and Slovakia. And now it's time for the Orthodox Church in Ukraine". The President thanked the exarchs. "I am convinced that this service to the Ukrainian people is a great unifying effort that the Mother Church makes contrary to the efforts of those who impede our unity - this is the great merit of the Ecumenical Patriarch, the great merit of the Mother Church. I am very grateful to the Synod," Petro Poroshenko noted. He also stressed that the comparison of declarations of state sovereignty and church sovereignty "is very accurate in order for the majority of Ukrainians to understand the importance of this event". "I am convinced that this date will be inscribed in the history of Ukraine as the most important. As one of the important stages of our state-building," Petro Poroshenko said. "I am grateful, because this decision was made due to the prayers of the Ukrainian people, prayers of the Ecumenical Patriarch, His All-Holiness Bartholomew. And this decision is a long-awaited one in Ukraine ... I am convinced that today, as President of Ukraine, on behalf of the Ukrainian people, I must express my sincere gratitude to the Mother Church, His All-Holiness, the Synod, to all the faithful and to you personally for the enormous work that has been done for that to become possible, for the Lord to hear our prayers," Petro Poroshenko emphasized. "At the same time, at the behest of the Kremlin, the leadership of the aggressor country, the Russian completely dependent church authorities declared they will break off the Eucharistic communion with the Constantinople Mother Church. I am sure that such a reaction of the spiritual and secular Russian authorities, as well as of the church leadership completely dependent on the Russian authorities only confirms that we are on the right track," the Head of State emphasized. The President added: "Just as Russia has now opposed itself to the whole world in the issues of Russian aggression in the east of our state, illegal annexation of Crimea, position on Abkhazia and South Ossetia, position on Transnistria and the rest, unfortunately, the Russian Church has also set itself on the path of self-isolation and conflict with the whole world Orthodoxy". "I hoped this would not happen, but we should have been prepared for this process," he said. The President recalled that almost simultaneously with the meeting of the Synod of the Russian Orthodox Church, on October 14, more than 30, 000 Ukrainians took part in a grateful prayer on St. Sophia’s Square for the fact that the Lord provided autocephaly with the hands of His All-Holiness. "I think it's like two worlds: one for peace, with prayer to God, and another for conflict, for confrontation. I firmly believe that our efforts are grateful, needed by my country and my people, because an attempt to close the doors of the temples to the faithful Ukrainians or even to Orthodox all over the world is definitely ungrateful and wrong thing, which the Russian Orthodox Church is now trying to offer," the Head of State stressed. He added: "Maybe I should not say that, but I was very disappointed by the vote of two Ukrainian representatives. I am sure that we must search for peace and exactly the way October 14th passed - the Day of the Defender of Ukraine, the Day of Pokrova, when the Ukrainian political forces and the entire Ukrainian people, on the contrary, united and did not fall for Moscow’s provocation. For they were so impatient waiting for someone to storm the temples, that there would be fights somewhere. They even prepared their "titushky", which were supposed to play this role". According to the President, the Lord ensured that everything happened, happens and will happen in a completely peaceful way. "For our part, we will do everything we can so that the efforts aimed to create the Autocephalous Orthodox Church in accordance with the decisions of the Synod, the Mother Church and the Ecumenical Patriarch are made in due time, peacefully and in line with the expectations of the Ukrainian people," the Head of State summed up. Президент України Петро Порошенко зустрівся з екзархами Вселенського Патріарха в Україні Архієпископом Памфільським УПЦ США Даниїлом та Єпископом Едмонтонським УПЦ в Канаді Іларіоном та подякував за рішення Синоду Вселенського Патріархату про надання автокефалії українській православній церкві. Архієпископ Памфільський Української Православної Церкви США Даниїл під час зустрічі з Президентом подякував Главі держави за лідерство та бажання побачити єдність в українському народі. «Я надіюся, що ми вже незабаром разом служитимемо і святкуватимемо це велике об’єднання нашого українського народу», - наголосив Архієпископ. Архієпископ Памфільський УПЦ США також повідомив, що вони з Єпископом Іларіоном повернулися в Україну «для того, щоб продовжити роботу над останнім етапом, котрий доведе нас до об’єднавчого Собору, а тоді і до вручення новому предстоятелю остаточного документа – Томосу про незалежність, автокефалію української православної церкви». Архієпископ Даниїл зазначив, що екзархи повернулися із Константинополя «із благою вістю, із історичною подією в житті українського народу». «І відразу хочу висловити вам слова привітання Його Всесвятості Вселенського Патріарха Варфоломія. Ми мали з ним розмову відразу після закінчення Священного Синоду. І він просив передати Вам особисте привітання, а також і подяку за всі ті зусилля, котрі Ви приклали як Президент України, піклуючись цілим процесом об’єднання українських православних християн на території України», - сказав архієпископ. Архієпископ Даниїл нагадав, що Синод також розглянув і апеляції лідерів Української православної церкви і Київського патріархату і Української автокефальної православної церкви і були скасовані «різні церковні санкції» проти цих духовних лідерів. Вони були повернуті до свого духовного сану, а з ними і духовенство, котре опікується народом України в цих церквах. «Тому, якщо є якісь розмови щодо недоречності чи не канонічності церковних святих таїн, котрі виконують ці священнослужителі, Свята Мати-Церков дала відповідь – ці святі тайни, дії священнослужителів є канонічними. Ми вдячні Богові і Константинопольській церкві, що опікується нашим українським народом», - зазначив він. За словами Президента, сьогодні зустріч з екзархами відбувається вперше після історичного рішення, яке було прийнято на Синоді, рішення Вселенського Патріарха про надання автокефалії українській православній церкві «Дуже дякую, бо це рішення було прийнято завдяки молитвам українського народу, молитвам Вселенського Патріарха Його Всесвятості Варфоломія. І це рішення довгоочікуване в Україні… Але впевнений в тому, що сьогодні я як Президент України від імені українського народу маю висловити слова щирої подяки Матері-Церкві, Його Всесвятості, Синоду, всім вірним і вам особисто за ту величезну роботу, яка була зроблена для того, щоб це стало можливим, щоб Господь почув наші молитви», - сказав Петро Порошенко. «В той же час з очевидної подачі Кремля, керівництва країни-агресора, повністю від нього залежне російське церковне начальство заявило про розрив євхаристійного спілкування з Константинопольською Матір’ю-Церквою. Впевнений, що така реакція духовної і світської російської влади і повністю залежним від російської влади церковним керівництвом лише підтверджує, що ми з вами на правильному шляху», - наголосив Глава держави. «Сподівався, що цього не відбудеться, але ми з вами мали бути готовими до цього процесу», - зауважив він. Президент нагадав, що майже одночасно з засіданням Синоду РПЦ, 14 жовтня більше 30 тисяч українців взяли участь у подячній молитві на Софійській площі за те, що Господь руками Його Всесвятості дарував автокефалію. «Думаю, що це як два світи: один – за мир, один з молитвою Богові, а інший – за конфлікт, за протистояння. Я твердо переконаний, що наші з вами зусилля вдячні і такі, яких потребують зараз моя країна і мій народ, бо фактично спроба закрити двері храмів для вірних українців або навіть для православних по всьому світові – це точно невдячна і неправильна справа, яку зараз намагаються запропонувати РПЦ», - наголосив Глава держави. «Ми з свого боку будемо робити все можливе, щоб зусилля щодо створення єдиної помісної православної церкви відповідно до рішень Синоду, Матері-Церкви і Вселенського Патріарха були зроблені в належні терміни, відповідним чином – мирно і відповідаючи очікуванням українського народу», - резюмував Глава держави. President Petro Poroshenko and Ecumenical Patriarch Bartholomew signed the Agreement "On Cooperation and Interaction between Ukraine and the Ecumenical Patriarchate of Constantinople".